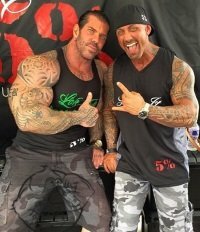 It was first reported on evolutionary.org that Rich Piana had a fall and was put into a coma at the hospital: https://www.evolutionary.org/rich-piana-dead. Now it is confirmed on 8/25 that he is officially dead. Piana was almost 46 years old which is a year older than Lee Priest, and surprisingly about 2 years younger than Mike O'Hearn. Although Piana spent much of his life in California, he was recently in Florida and had millions of followers on his Instagram and youtube channels that he kept entertained with photos and videos of his very exciting life happenings regarding all things fitness. Piana got into fitness at a young age thanks to inspiration from his mother, and he competed for the first time at just 15 years old. Later on, he ended up winning Mr. California and finishing in the top tier in numerous competitions. As he got older, he started getting heavily into business and built a cult following his openness to bodybuilding, life, women, and especially steroid/HGH use. As of this article, when you goto his website a popup reads "Legendary bodybuilder Rich Piana, whose relentless dedication to the sport and support of the bodybuilding community, died August 25, 2017. He was 46 years old." His company is called 5%, it refers to the 5% of people willing to push themselves to the next level no matter what. Approximately 2 weeks ago, on August 10th, Piana was found unresponsive by EMT's and rushed to the hospital where he would be put in a medically induced coma. Reports ranged from a drug overdose, to him falling and hitting his head. Police reports circulating claim that they found 20 bottles of steroids and crushed up white powder in his home. His girlfriend had said she was cutting his hair when he fell and she tried to catch him, but he fell hard in the bathroom. Though, one must wonder about “crushed white powder” all over his house and what that really means. Many are claiming it was cocaine, and there have been discussions about his opiate abuse in the past. Piana was in a coma and reports circulated that he was doing better and under the best medical care. Being in a coma that long or being bed ridden with no updates did not bode well for anyone who had any common sense. After all, wouldn't Piana have said something to his fans to let them know how he was doing? On August 25th his estranged wife, Sarah Piana, whom he was separated from broke the news that he had passed away. "I'm in tears writing this that @1dayumay has just passed away. I can barely believe this... I am so saddened & heartbroken that he didn't make it. I just want to say THANK YOU Rich for teaching me so much about life, whether it was the easy or the hard way. We had our ups and downs but we sure had an awesome time in each other's presence along with us fighting through some dark times together. You truly touched many people's heart and helped so many!!! It inspired me in many ways to see the huge impact you had on people all over the world. Not many people know that me and him are STILL legally married till this day despite all rumors. I have NOTHING to gain by saying that but want everyone to know the truth. I know that people say stuff on social media but I truly am not the "bad" person people think I am. I actually saved Rich's life 1 time before, glad I was there for him at that time. Rich, I hope you feel better now in heaven and that you're up there healthy, smiling & telling everyone "how it is, being REAL & doing your thing". Rest In Peace my dear husband. 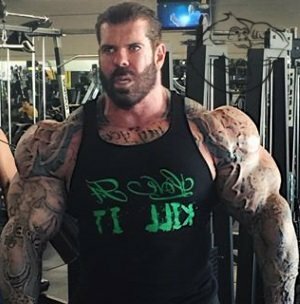 #GoneButNeverForgotten #RichPiana #RIP  ❤️. P.S. I want to wish my deepest condolence to Chanel @c_no5 and thanking her for being there for him, loving him & showing him support. You're an angel. We will all miss him so much, may his soul & spirit Rest In Peace Forever. He said he was sad that his life was cut in half and was up since 3 am thinking about him. During the heart attack, he fell and hit his head and had a concussion. There was a lack of oxygen going to his brain which caused damage, and he was put on a ventilator for breathing; afterwards, he was put into a medically induced coma. And the fact that there was no video since the incident, he knew it was over as Piana would have said something. There was good news reported saying at one point they took away the breathing tube, and Piana was able to breathe on his own, but unfortunately, things went south 2 days ago and they had to put him back on the tube. Finally, the decision was made early today to remove the life support as this is likely what Piana wanted. Jason Blaha who routinely bashes bodybuilding and fitness while making guns and running a Neo-Nazi right wing youtube channel claims he 'knows people' in the steroid dealing world because he admittedly used to deal steroids out of Texas and Britain himself. He accused Rich Piana of being the "Pablo Escobar" of the bodybuilding world in a click bait video. Escobar is a famous drug dealer. Piana has claimed he made money from real estate and stock trading in prior videos. But Blaha claims that Rich Piana really made his money in dealing steroids and ran one of the largest steroid rings for years to get rich. He then used that money to start his 5% nutrition company and invest in real estate as a cover. He defended his video by saying you cannot be a snitch when the person you are snitching out is already dead. Piana shortened his life by pushing things too far, which is the same as what happened to Dallas McCarver whom you can read about here. McCarver had been having breathing issues for a year and had a collapse and convulsions backstage at his Australian competition and did nothing about it. Piana knew he had an enlarged heart ahead of time, and when this occurs you must drop mass and weight to give your heart a break. Piana refused to do this and kept striving to get big. Also, the crazy amounts of HGH, steroids, insulin and likely recreational drug use all contributed to his heart attack just in his mid 40's. I highly recommend anyone who is over weight, whether it be muscle mass or just fat to monitor your heart health much better than Piana did if you want longevity. Hopefully, this is a lesson to people and not something that kids try to follow like they have in the past with prior dead social media icons such as Zyzz. I have a feeling though Piana's popularity will increase after his death and many 20somethings will attempt to copy his absurd steroid 'cycles' which should NOT be even called cycles, but really steroid abuse. I understand Piana was not a competitive bodybuilder anymore, but my suggestion which can cut down on deaths from current competitors. There needs to be a requirement that pro's need to have some sort of physical done with blood work and a doctor's checkup, before being allowed to compete. This happens in every sport out there. No team will sign you without a physical being performed by a very credible team doctor who is independent of the team. In the NFL, rules are in place if you get any sort of concussion or brain injury you must go into what is called a 'concussion protocol' where you are not allowed to play until you fully clear. Also, people need to step up and help take pressure off of forcing guys to compete when they shouldn't be by providing some sort of financial backing for when they get injured or are not physically able to compete. In any pro sport if you get injured you are given an injury settlement or still paid your guaranteed salary while you rehab your injury. As of now, bodybuilding competitors have to rely on selling steroids, selling apparel, having sponsors, or selling workout programs to make ends meet. They do not make enough from prize money to support any sort of financial livelihood like in any other professional sport and this is wrong! Until this gets fixed there will be more deaths and the people profiting from bodybuilding have blood on their hands.